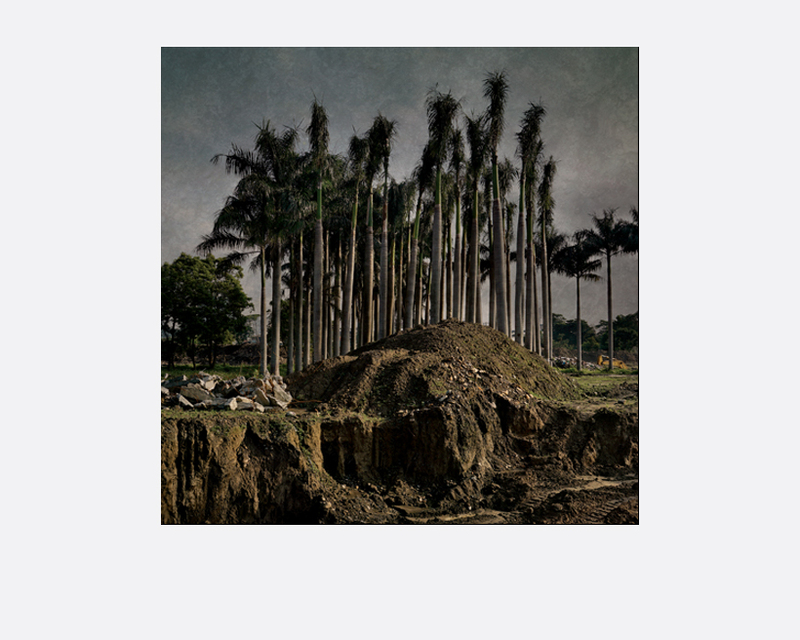 Transient Landscape is a project of 35 photographs taken in May 2015 in Xindian District in New Taipei City. Specifically, it is close to Zhongyang Road that I grabbed my camera to watch, like walkers who stop along the construction site gates, the world changing. Here, as almost everywhere else the construction site is the entertainment world in transformation. The scope of the project and the work which extend over several acres still reveal nothing that will be, but already everywhere the land was returned, dug, moved, destroyed. The fauna and flora have virtually disappeared. This transformation of the landscape is a tragedy for ecology, and yet it is the future we are building. 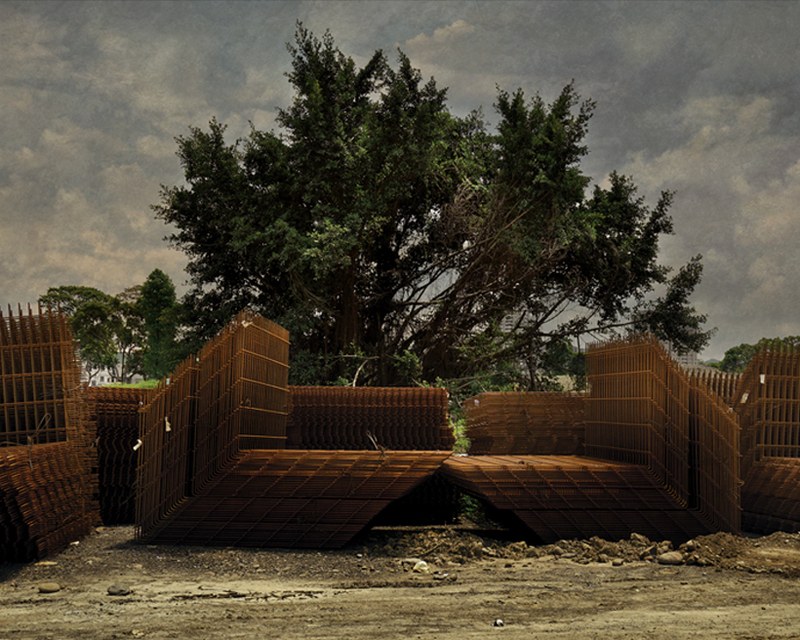 The construction site has become a regular part of our urban landscape, but also a complex challenge of our environment. However, as in my previous series, my gaze is primarily that of an artist for whom the aesthetic remains fundamental. 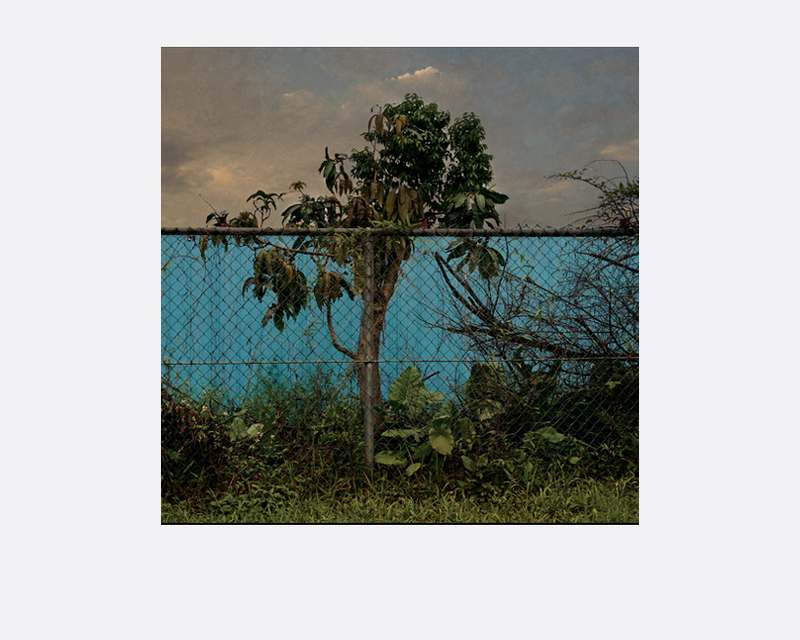 I think photographs of Transient Landscape as painting, at least as Pictorialists thought photography. 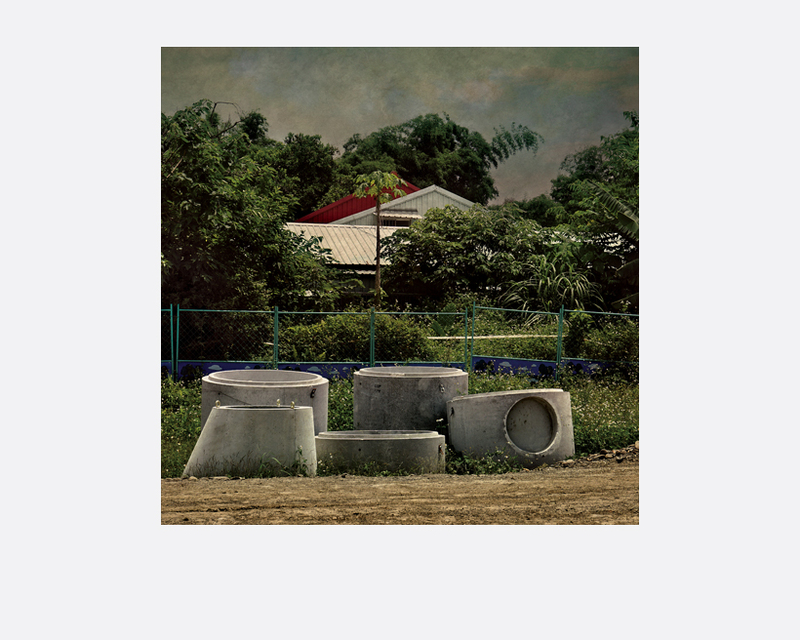 This is obviously a labor of atmospheric light with a concern for composition and framing that we find in his previous series Taipei Riverside It is with this pictorial sensibility that I manage to “beautify” almost pathetically an assaulted landscape by urbanism. While still a student, Guillaume Hebert (b. 1969, France) abandoned photography to devote himself exclusively to painting. It is only 20 years later when he began traveling in Asia he has regained the joy of photography. But it is particularly in Taiwan and precisely in Taipei that he began to work on important projects. His series such as Taipei Window Displays, unfixed pictures and Taipei Riverside opened to him new artistic paths. Since Guillaume Hebert uses the photographic medium, and without respite, produced a work of great diversity sometimes with humor, sometimes with irony, criticism and a lot of sensitivity. If he now focuses almost exclusively to photography, he is defined himself as a visual artist rather than a photographer. The tool does not define art. Moreover, following the example of Ansel Adams, il says : “I take a photograph then I make a picture”.